So, blogosphere, I’ve been keeping something from you and I don’t think I can do it any longer. I have the recipe for the world’s best chocolate cake. And it’s time for me to share it. I used to work with a great French baker who had lots of secrets up his sleeves and one of them was this TRES-simple, TRES-delicious and TRES-addictive recipe. I use it all the time – if we’re expecting guests, if people show up at the house, if we’re going somewhere, and eh, just if I feel like a chocolate fix. 5 ingredients, and you’ll be done in half an hour. 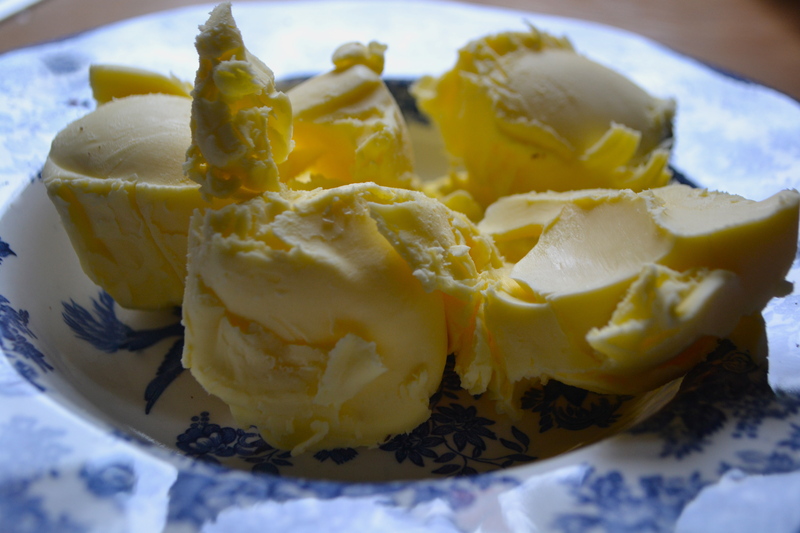 Melt the butter and chocolate together (microwave or old-school style which would be appropriate because bain-marie = French bien sur), and then add all the other ingredients, keeping the eggs for last so they don’t start to cook in your warm mixture. Pop the mixture into a large round cake tin, or a muffin tray (like this one: it’s stained because I use it so much!). If you’re making a cake, leave it in the oven for 20 minutes; and if you’re going for the mini version, stick to 10 minutes. The trickiest part is knowing when to take them out of the oven. Just pretend to be French and you’ll get it right. Take them out when the top is hard, but there’s a little shake when you press down. This will feel weird, but it’s so worth it: you want the inside to be very moist/almost runny. Leave to cool and serve – I sprinkle mine with icing sugar and serve them with strawberries or raspberries. I actually forgot to take a picture of the finished goods until we had almost polished off the plate, but here is what they looked like! You can add in a few things to the recipe depending on how you’re feeling: grated orange peel or hazelnuts are particularly yummy. Voila! Enjoy and let me know how yours turn out.